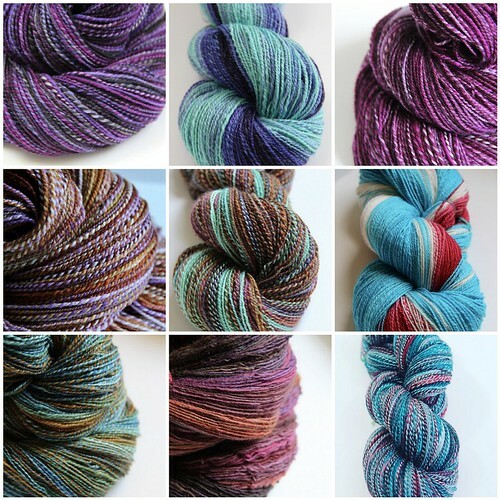 Each year I like to do a little retrospective on the year’s knits and spins. I actually felt like I was a little less productive this year. 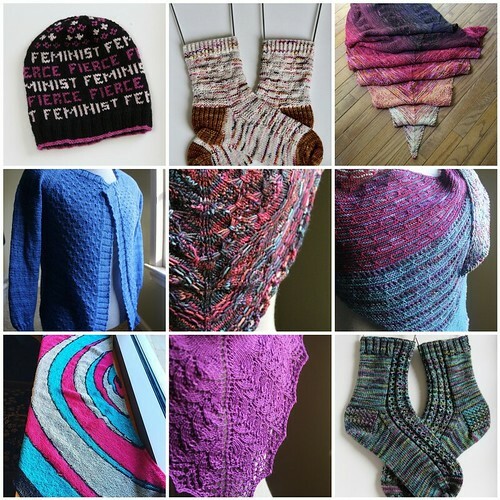 I don’t know if it’s because I knit bigger projects, or just didn’t move as fast. I do know that my spinning mojo took a hit towards the latter half of the year and I didn’t get through as much as I usually do. My goal for the past several years has been to spin 52 – 4 ounce bumps of fiber for a total of 13 lbs of fiber a year (basically one bump a week). In the last several years I have made this goal, and in many cases exceeded it. This year I came in just shy at 12.6 lbs. Stay tuned until next week when I’ll share some of my crafting goals for 2018! Ooo…love the turquoise, red and white spins! Previous Episode 164: Happy Holidays! Next Episode 165: Happy New Year!